Getting the whole family together for the simple purpose of enjoying each others company can be one of life's sweetest pleasures. Coming together in Whistler Creekside makes it even sweeter. Lodging Ovations commitment to luxury, family-friendly accommodation makes Whistler Creekside an unforgettable destination for family reunions. From booking your accommodations to finding activities and events to add some wow factor into your reunion, Lodging Ovations is there to help organize your Whistler getaway. Lodging Ovations makes bringing the generations together even easier by offering three different properties, Evolution, Legends and First Tracks Lodge. Each condominium-style unit has a fully equipped kitchen and in-suite laundry -- two essentials when it comes to family travel in Whistler. In addition, Lodging Ovations has one to four bedroom suites that have enough space for everyone to relax and unwind after a day of festivities. Each property is slightly different, but each is a testament to Lodging Ovations dedication to excellence. Evolution, the newest of the properties, features "modern mountain" interior design that has a wide appeal for urban couples. First Tracks Lodge, is the closest property in all of Whistler to a gondola and is the first choice for anyone that wants to be first on the mountain. Indulge in the four-season pool and hot tubs or spend some unhurried time in the lobby library. Legends, with its large number of two and three-bedroom suites, is a top choice for families with kids. Whatever the reason or season, we can help you find activities that will bring the family together. May it be a once in a lifetime group heli-ski adventure or an afternoon of canoeing down the River of Golden Dreams is more your clan's speed. Or perhaps creating an all-family version of The Amazing Race would work best for your tribe. 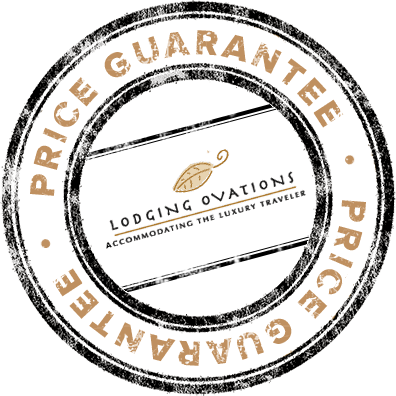 Regardless of the activity, Lodging Ovations can assist you with planning the perfect Whistler escape. Lodging Ovations has lasting relationships with two of Whistler's best event caterers, Whistler Cooks and Whistler Blackcomb Catering. Whatever you need for the reunion, Lodging Ovations will help create a menu that will satisfy even the pickiest eater in the family. Our special event space can accommodate up to 160 guests, making it ideal for feeding even the largest of families. But, the best part about a Lodging Ovations family reunion meal is that no one is stuck in the kitchen before or after. Lodging Ovations has more than 2,200 square feet of meeting space in Legends that be configured to accommodate a special family dinner, lunch or brunch to help give more focus to your reunion. Food has always been an important part of family celebrations. While a Whistler Creekside family reunion meal may not feature Aunt Betty's peach cobbler, it will definitely be memorable.